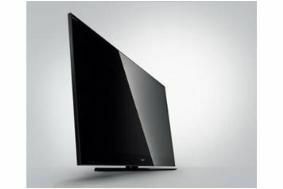 First Sony 3D TVs available for pre-order from Harrods and Currys | What Hi-Fi? Sony's Bravia KDL-HX903 model will be available in sizes from 46in to 60in, but the first one to be offered is the 52in version. It's priced at £2500, but needs active shutter 3D glasses and a 3D transmitter for full 3D functionality, which are being sold separately. Currys is selling the 3D glasses for £99.99 each, and the 3D transmitter for £74.99. Currys also says that it expects the 46in KDL-HX903 model to sell for £1999 when it becomes available. The KDL-HX903 TVs are LCD designs with full LED backlighting, Motionflow 200Hz processing, an OptiContrast panel and built-in Freeview HD tuner. You can see a full breakdown of the 2010 Sony range in our special blog.